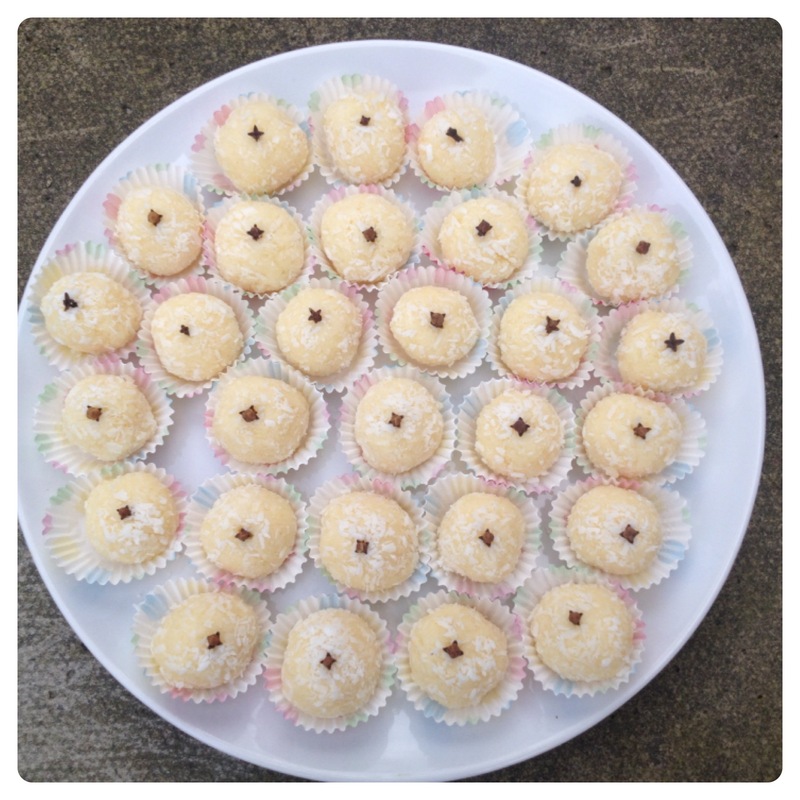 Growing up in Brazil, I used to love going to birthday parties and eating docinhos – traditional bite-size Brazilian party sweets. Last time we went to Brazil, I showed little man how to make Docinho de Leite Ninho, a traditional party sweet together with Brigadeiro (chocolate sweets) and Beijinho de Coco (coconut sweets). Nearly every single Brazilian sweet recipe takes desiccated coconut, I have previously shared Brazilian Pave Recipe: Pineapple and Champagne Biscuit Layer Dessert. 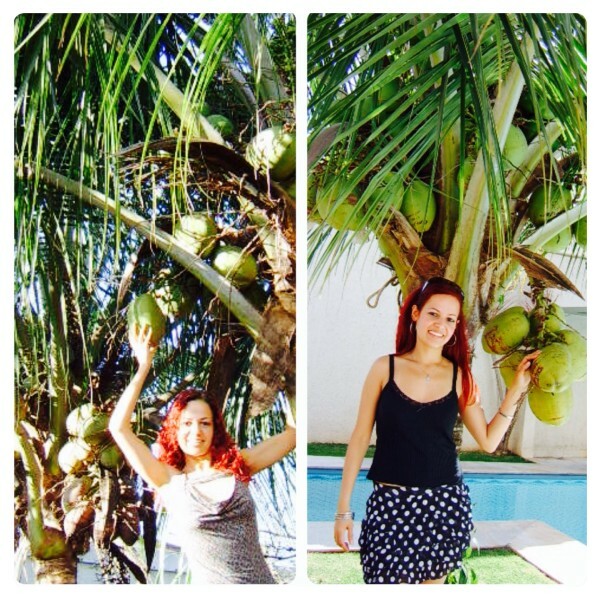 We are blessed with beautiful coconut trees, I even have a couple in my garden in Brazil, so we make the most of lovely coconut and add it in everything we can! This year, global flavour leader McCormick, parent company of leading herbs and spices brand Schwartz, is celebrating its 125th anniversary. The yearlong celebration kicks off with the launch of the 125th Anniversary Edition of the Flavour Forecast and the Flavour of Together programme, with the goal of connecting people around the world as they share 1.25 million stories about the special role food and flavour plays in our lives through. 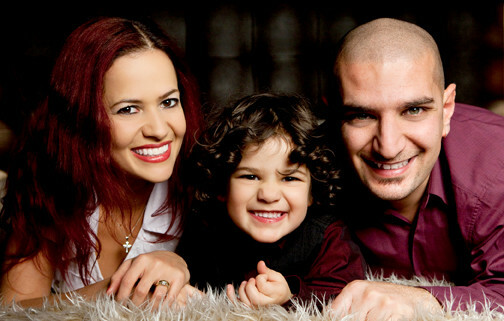 You too can get involved and share your flavour story via the Schwartz website or Facebook page. For every story shared on Schwartz’s website and Facebook page or any of McCormick’s websites or social channels, Schwartz and McCormick together will donate $1, up to $1.25 million to United Way and their partners’ organisations. In the UK, Schwartz will support Focus on Food, a charitable food education programme and partner of United Way Worldwide, that champions cooking as an essential ingredient for healthy, happy lifestyles. Schwartz and McCormick are also releasing a special anniversary edition of their influential annual Flavour Forecast® report, a global summary of insights into what the world will be eating next. The McCormick® and Schwartz Flavour Forecast® 2014: 125th Anniversary Edition reveals five flavour insights that are driving the future of flavour in the next few years. These insights include: Chillies Obsession, Modern Masala, Clever Compact Cooking, Mexican World Tour and Charmed by Brazil. I just love coconut, it is tasty and versatile, it reminds me of sunny tropical Brazil, enjoying gorgeous food in great company. 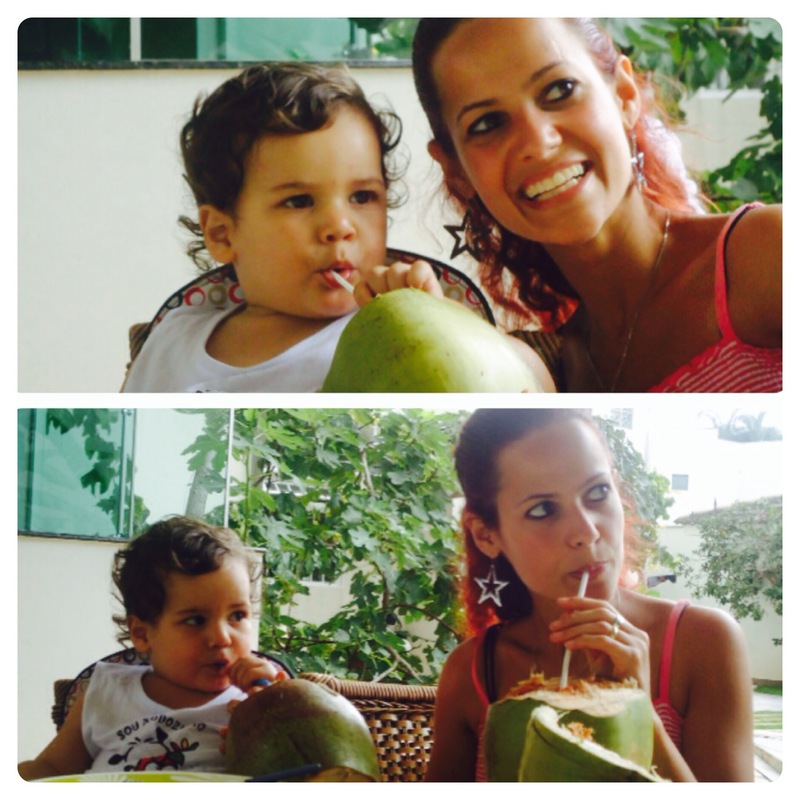 I love fresh coconut, coconut water, desiccated coconut, coconut milk and coconut cream. 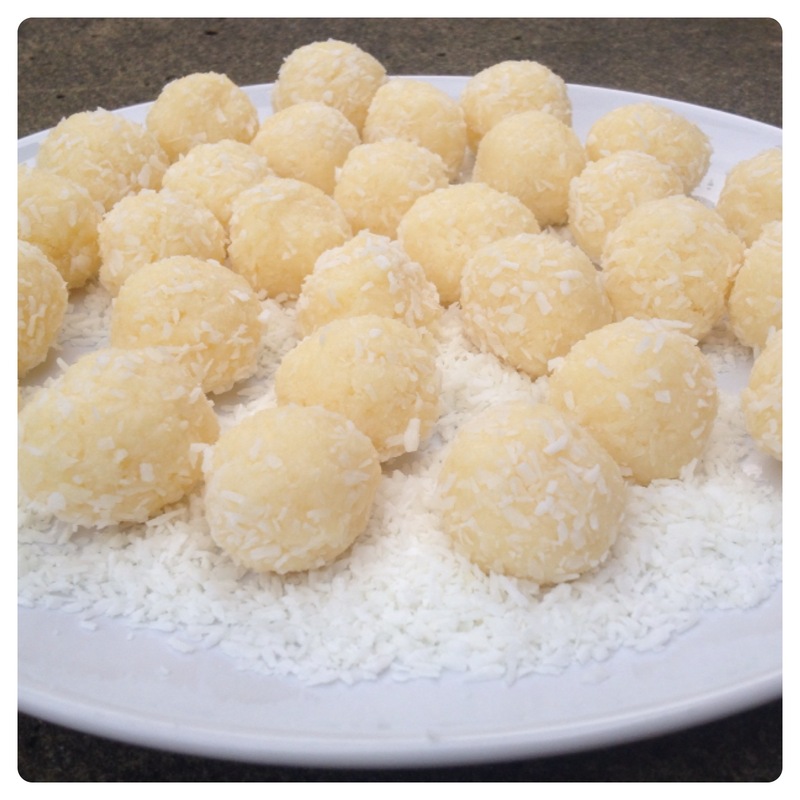 I could not forget all the birthday parties I attended in my childhood, full of party sweets with coconut. Inspired by my home country’s cuisine and Flavour Forecast, I’ve decided to share one of my favourite recipes using coconut: Beijinho de Coco, which means ‘Little Coconut Kisses’. Once you try it, you will really feel like you are being kissed by a coconut. It is very easy to make and extremely delicious! Place the condensed milk and butter in a saucepan over medium heat, and bring to a simmer, stirring constantly with a wooden spoon. Once the mixture begins to thicken, add the desiccated coconut and stir constantly. Once the mixture is thick and pulls away from the sides, remove from the heat and leave it to cool (around 15 minutes). Grease your hands with little butter and roll in the palm of your hand a small amount of the mixture into 1 inch balls. Repeat until the mixture finishes. Place the balls on a plate with desiccated coconut, coat each one with coconut, place in a small cupcake cases and decorate with whole cloves. 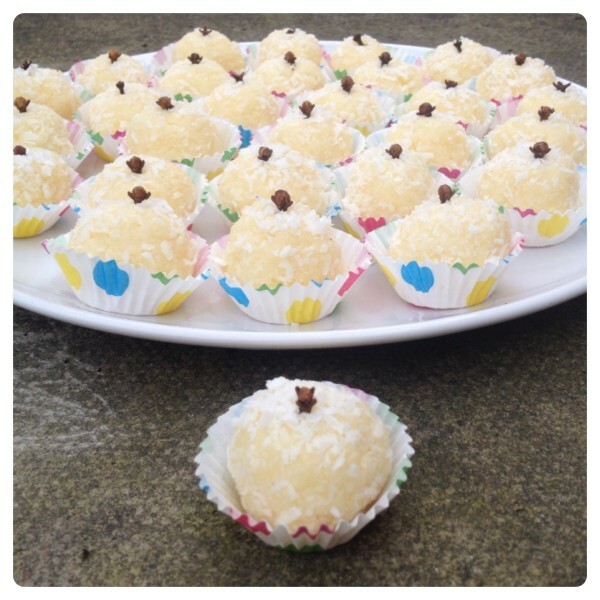 5 Responses to "Brazilian Coconut Sweet Recipe: Beijinho de Coco"
Very evocative, very rarely use coconut but you’ve made me want to go out and buy some to experiment with! 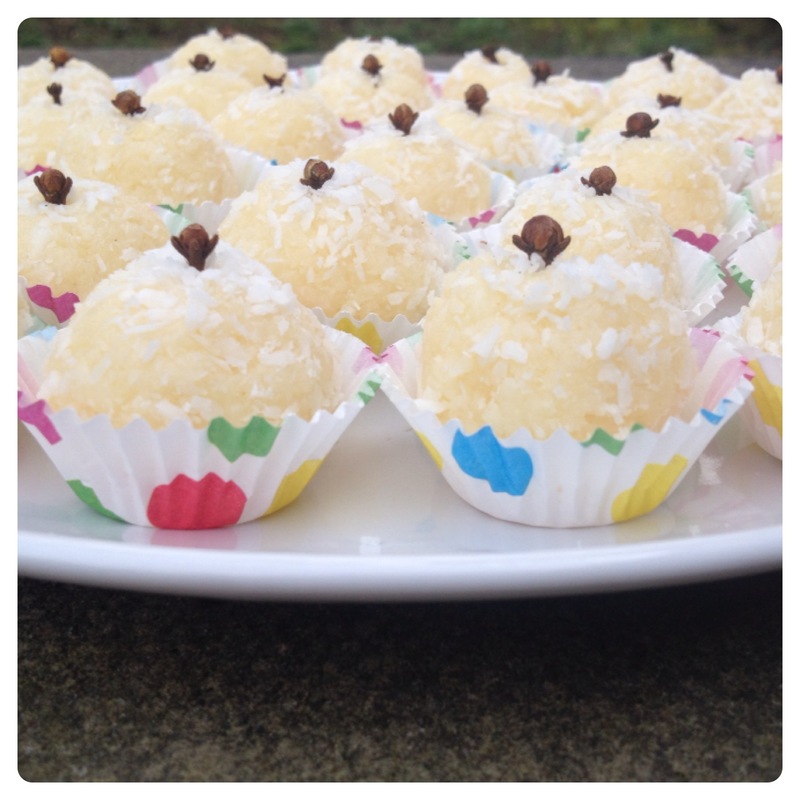 I love coconut – these sound delicious – will need to try them!